Coming up over the next few weeks, I’m hoping to feature some of my favourite planner suppliers, this includes stickers, ephemera, stamps and other planner/journaling related goodies. Hopefully there will be social media links too so you can head over to find them on Facebook, Twitter and Instagram as well as their websites and/or Etsy stores. You can find all the posts here. Back in the summer, I started to approach some of my favourite planner suppliers and Rachel at EllieBeth Designs UK was one of my first. We’d chatted online but met properly at Cambs Planner Con 2016. I think I might have been a bit of a fan girl but reined it in before being embarrassing! At the beginning of October, Rachel and her team launched their new website here. Before I bore you I’m going to hand you over to Rachel for a chat! Hey, Thanks for joining in. So first up can you introduce yourself? I’m Rachel – Christian, wife, mother, crazy planner lady and sticker maker! What inspired you to open an Etsy store? Is it your main job or do you do it as well as a day job? EllieBeth Designs UK Ltd began with one machine and a MacBook in a corner of our bedroom. Now it’s run from our conservatory and is rapidly outgrowing the space available. It began because I couldn’t find what I wanted for my planner over here in the UK, so began making my own stickers. During an afternoon of reflection following a challenging few months, the thought came into my mind that maybe a few other people might be interested, and so I opened the shop on February 23rd 2015. I wanted to see a community in the UK focussed around planning, and founded the EllieBeth Design UK Facebook group, as well as connecting with other UK planner and stationery business owners to support and encourage one another through another group. My focus has always been on people – I love seeing what I’ve created in use, and I love knowing that something I’ve made has helped someone during their day. In July, I opened a second strand to the business – EllieBeth Supplies UK – initially stocking Illustrated Faith products, designed for scrapbooking and bible journaling. I’m looking forward to developing that further. With the new website, both of these have come together under one roof, and I’ve been adding other lines as well – such as custom designed notebooks from May Designs. Now, it’s a full time job, but it is one that fits around our family – and that’s an amazing blessing! Do you have a favourite product that you sell or something that you enjoy making the most? A favourite product….eek! So hard to choose! My love of colour means it has to be anything rainbow 🙂 But – I have a soft spot for all the Mystery Kits too. Do you have any favourite Etsy/Online Shops for Planner/Journaling related bits? My favourite shops – ooh, so many! In particular, I love Mrs Brimbles, Linou’s Pots, My Pretty Week and ChochoAndMimi. If you were to give one piece of advice to someone who is thinking of opening their own Etsy/Online Shop, what would that be? One piece of advice – know what you’re getting into. It’s not just about making pretty things – there’s the back office to learn, production methods, accountancy, insurance, customer service and so much more! I think if I’d known everything that was involved, I’d have run a mile – so it’s probably just as well I didn’t! Do you have any new products and/or offers on at the moment? I release new listings on #WhatsNewWednesday – usually the first and third Wednesday of the month – and the Mystery Kits go on sale during the third weekend of the month. Where do we find your shop? As above in October, EllieBeth Designs UK moved to their own website here. Can we find you elsewhere? Blog? FB? IG? Other? YouTube | Instagram | Pinterest | Facebook | Facebook (friendly group for lots of planner chat! Do you have a favourite product from Rachel’s shop? I think my current favourite has to be these red mugs and Christmas themed stickers – now I just need to figure out which planner system I’m going with for the rest of the year so that I can use them in the right place! This entry was posted in Being Creative, Favourite Planner Suppliers, Planners and Journalling and tagged Planner Suppliers, stationery. 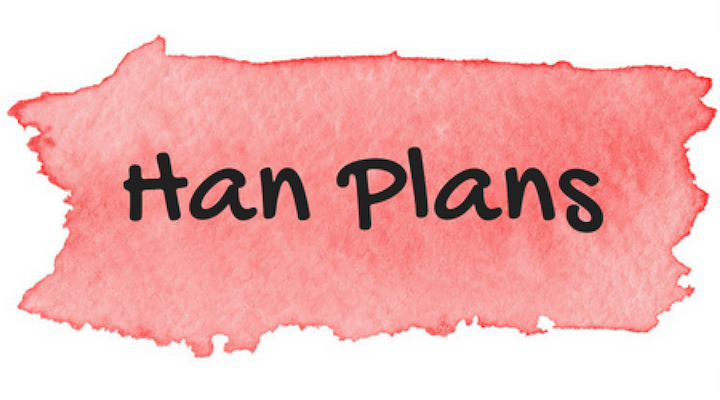 I am going to become addicted to this section of your blog for sure, I love planners and all things crafty so will look forward to learning about new suppliers. Oh it definitely can be addictive that’s for sure! Before you know it you’ve gained another planner or organiser and still don’t feel organised! That’s when the “planner wanderlust” kicks in and you wander lol.